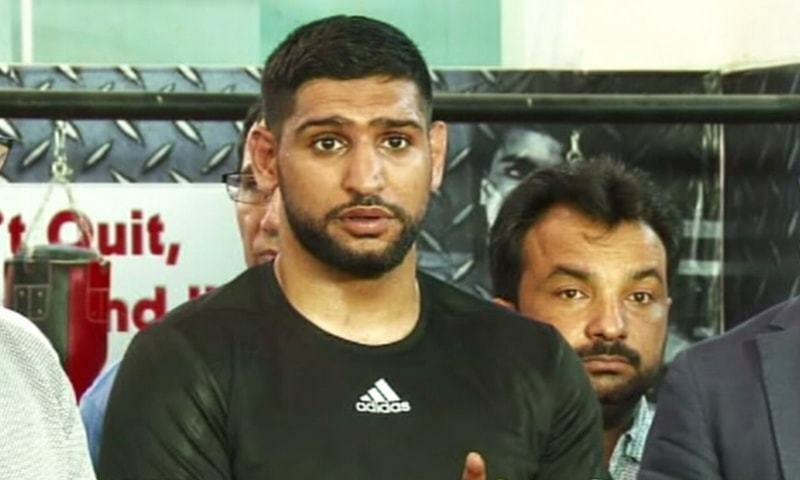 British-Pakistani boxer Amir Khan announced the formation of the Super Boxing League in a press conference at the Amir Khan Boxing Academy in Islamabad on Monday. “I have taken the idea from my partner who is from India. He formed this league in India, so I decided to bring the league here to Pakistan,” Khan, who had also expressed a desire to stage the league earlier this year. Khan said that eight teams, also including women boxers, from across Pakistan would participate in the league which will hold fights under the World Boxing Council. The purpose of the league, expected to be held in December 2017 or January 2018, is to highlight boxing talent in Pakistan, he said. Khan also spent time training with local boxers at the academy on the occasion. He said that he wanted international cricket to come back to Pakistan and wished that the English side visits the country soon, vowing to support revival of sports in Pakistan.